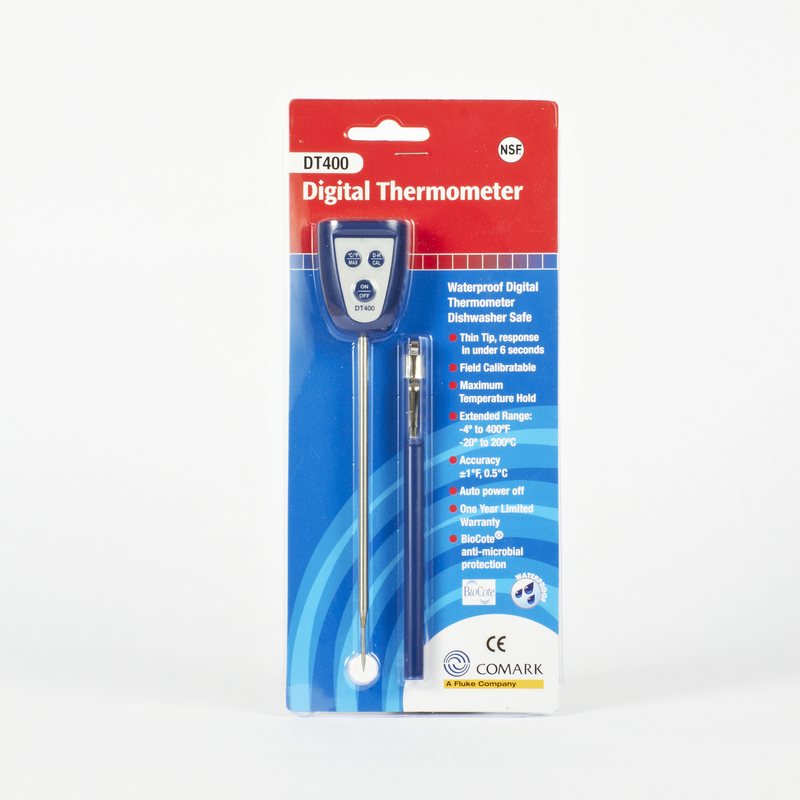 fully waterproof, the Comark DT400 Waterproof Thermometer is ideal to measure the temperature of food, at home and in the catering industry, swimming pools and spa and general water temperatures. 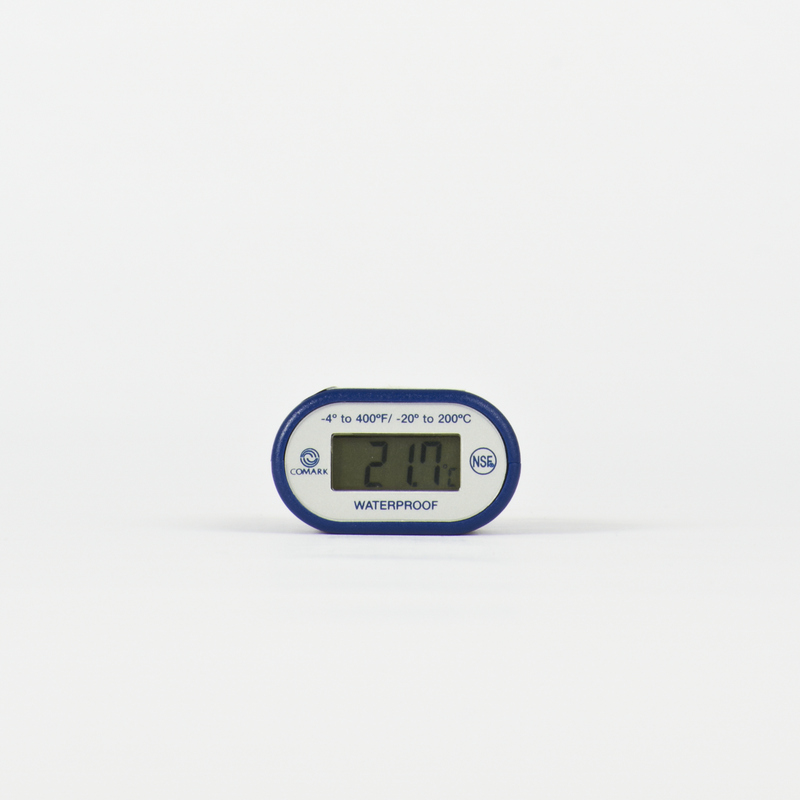 This waterproof digital thermometer comes with a hygiene probe cover to prevent dirt and bacteria forming on the probe during storage. Commercial dishwasher safe with thin tip for fast response. I was pleasantly surprised by the superiority of this thermometer over previous ones I have owned. Comark is definitely a brand to look out for. I had also called the contact number on this website for some queries on the functioning of this thermometer and found the information given to be very useful! Have had these before and are generally accurate and reliable. useful being able to check calibration. very prompt service. The picture just shows the "head" of the thermometer. One of the reasons for buying this particular model was that it appeared so neat - something I could easily put in my pocket. I had not realised there was a long probe at the back of it. Sorry there is pictures on the web site which does show the product clearly. Firstly great service - ordered on the Tue morning arrived Wed morning, not bad for the Highlands! The thermometer works very well for my use, which is open water swimming, Clear readout and waterproof which is key for me. Spare battery provided too which is handy. Would definitely recommend company to family and friends. Does what it says on the box except I haven't tested at the extremes of the scale. Excellent service as well so will go back to them if I need anything else like this. 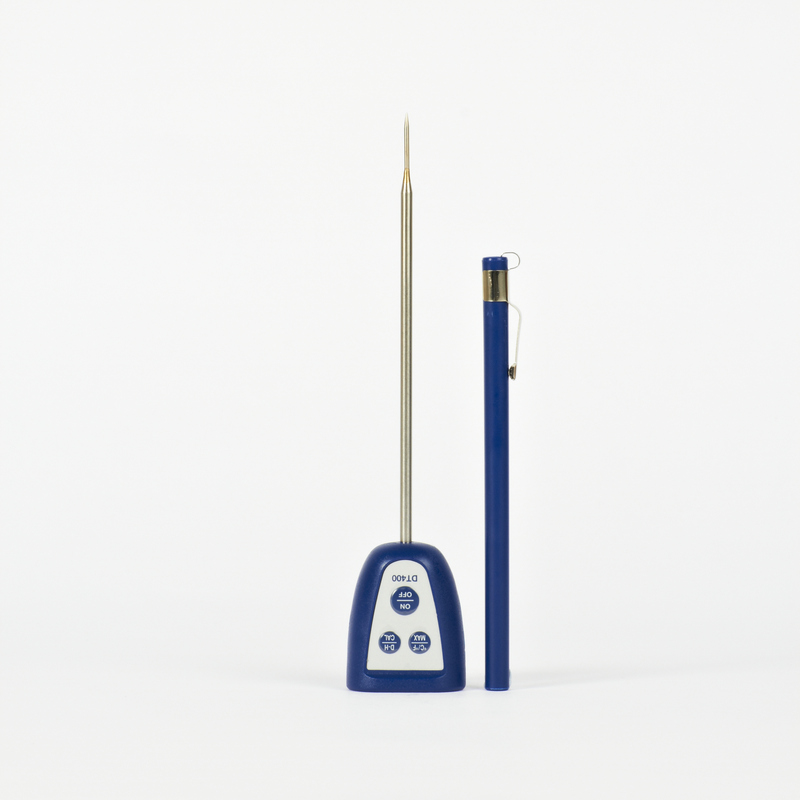 Its an easy to use, fast reacting thermometer....& waterproof. Excellent for all the Lakes & Tarns we swim in! Very quick service, great priced item Thanks.